Description A new refreshing unique game play will keep you addicted. Test your skills in this one-of-a-kind-game. Try to make full lines of the correct type and switch between the tubes for the correct color. Only then you will collect your points. With this game you will have a lot of fun. 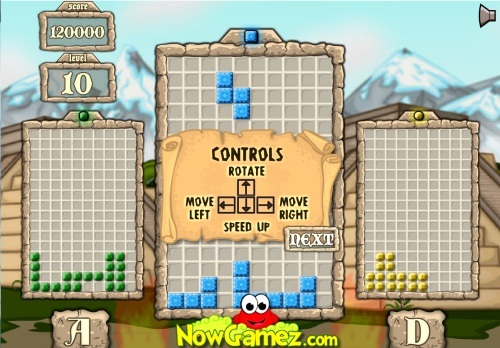 Controls Use keybord cursors to move or rotate blocks. With A and D you can switch between tubes.